Jim Meli, the owner, has been in business for twenty-five years. 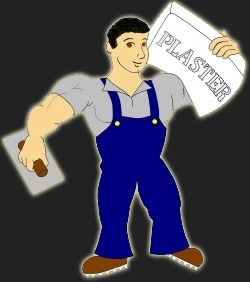 Our plastering crew is adept at drywall, stucco, hard coat plaster, and full coat plaster. We can match any plaster-pattern, including swirl, skip trowel, and smooth, and we even have a few of our own designs. We can also do exterior insulation finishing systems (EIFS). We specialize in maintenance and repair. All estimates are free, all work is of the highest quality, and the job sites are left clean and free of debris.